Lee is a military combat veteran, having served as an Army Officer flying helicopters in the US Army. During that time he spent time near the country music capital of Nashville, TN as well as overseas in Europe, Korea, Japan and the Middle East. Gattenby is an avid student of music who continually works to hone his craft. He is a highly respected multi-instrumentalist, vocalist, live sound technician, studio-recording engineer, music instructor and worship team musician living in Kenai, Alaska. He has been playing in front of crowds since 1976 and is influenced by guitarists Lincoln Brewster, Monte Montgomery and Chris Brodrick. He is currently the lead guitarist of the band Troubadour North (troubadournorth.com) and has his own artist website: leegattenby.com. 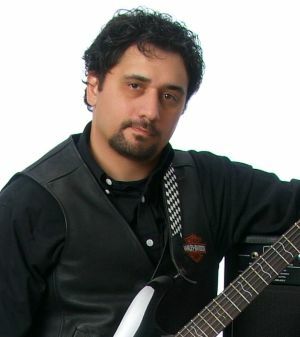 He is mentored by industry professional Tom Hess and has had the pleasure of accompanying lead singer Fabio Lione and guitar virtuoso George Bellas. He is well known in Alaska and has played countless shows in his home state over the past 12 years. Find out how to get lots of new guitar students and increase your income from teaching guitar.